A NEW volleyball federation has been given provisionary recognition by the International Volleyball Federation to replace the Philippine Volleyball Federation (PVF), which has long been embroiled in a leadership squabble. Philippine Olympic Committee vice president Joey Romasanta confirmed the POC has received a letter from FIVB president Ary Garca granting recognition to the new national sports association (NSA) called Larong Volleyball sa Pilipinas Inc. (LVPI). “I hereby grant provisional recognition for Larong Volleyball sa Pilipinas as the new national volleyball federation of the Philippines under the umbrella of the POC,” a part of the letter addressed to POC president Jose ‘Peping’ Cojuangco said. Romasanta, however, said full recognition will only be given when additional members of the nine-man board from stakeholders like the Philippine Superliga (PSL), Shakey’s V-League, UAAP, and NCAA will elected "not later than ebruary 15." The LVPI is set to replace the PVF, which was recently dropped as member of the POC due to a technicality after it was revealed it has two separate Securities and Exchange Commission (SEC) registration. Romasanta is among the incorporators of the LVPI along with fellow POC official Jeff Tamayo, POC legal chief Atty. 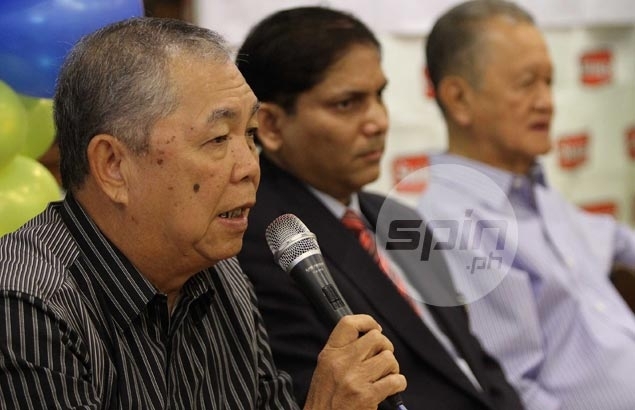 Ramon Malinao, Dr. Benjamin Espiritu and Ricky Palou, who incidentally was among those elected to the PVF board over the weekend. All are automatically members of the new board. The LVPI will be opened for membership once the board is completed, he added. “Ngayon pa lang kami nag-invite ng members kasi wala pa kaming association. Naintindihan naman nila,” said Romasanta.